There’s a nursery in the south of the Netherlands with which Javado works closely. 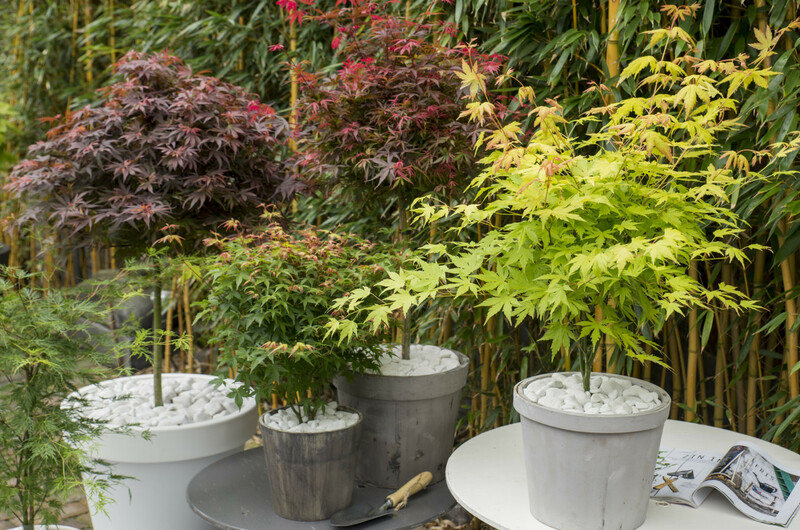 It’s the European market leader in Acer palmatum, but also grows lots of other garden plants. These are growers with a vision, and an eye for novelties. Javado visited the nursery, and spoke with Puck Wirken. How did Son & Koot’s nursery come into existence? Van Son & Koot bv was founded in 1999 when the nurseries of Arjan van Son in Kaatsheuvel and Jim Koot in Boskoop merged. Van Son & Koot cultivates around 100 different plant species. Although shrubs such as Skimmia, Eucalyptus, Camellia and Hydrangea, are important mainstays, our main emphasis is on varieties of Acer palmatum. We cultivate no less than 65 different varieties, in a wide range of shapes and pot sizes. 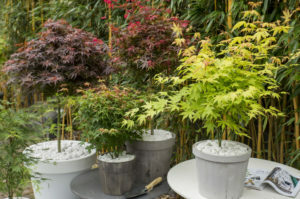 We are justifiably the European market leader in Acer palmatum, as we’ve been growing Acer for decades and have acquired extensive expertise in this area. Even so, we’re always looking for new and interesting shrubs to add to our range. It’s very important that garden centres can regularly introduce the consumer to beautiful new plants. Every year, we’re able to introduce a number of new shrubs on the European market. How do you manage to continually introduce new plants? We travel all over the world on our search for new plants for our nursery. 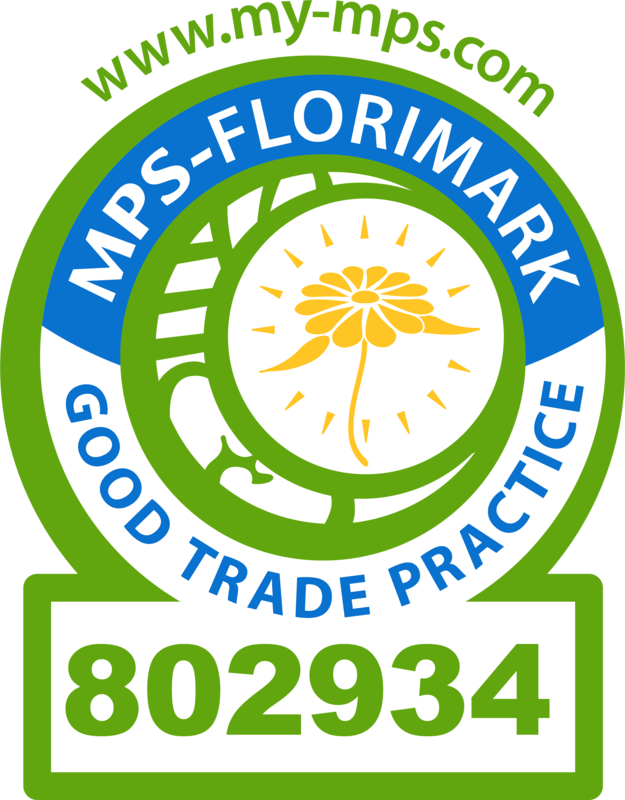 We extensively research the characteristics and usage value of any new plant before adding it to our range. Our innovative approach in the company has led to several awards, including the Glass Tulip, Best New Product at IPM Essen and the Plantarium, and Plant of the Year 2013 and 2014 at the Chelsea Flower Show. I think that what really sets us apart is that everything we do is about ensuring the quality of our products, but that at the same time we can supply both very large orders and small orders for a few trays. We’ve grown together with the market, and mastered our crops perfectly. What do topics such as climate and sustainability mean to you? As a company, these are very important topics for us, and we act accordingly. This is because our customers have certain requirements in this regard, and, to an even greater extent, because we as humans and companies understand that we have to treat the planet on which we live with care. For us, Javado as a highly reliable customer that we can count on. We’ve already achieved good results together, and we recognise more opportunities to grow alongside one another. The company is enjoying reasonable growth every year. We’re therefore working on designing our business processes in way that will allow us as a company, in spite of this growth, to prepare our plants quickly and efficiently for our customers, and in accordance with their specific wishes where applicable.